To start off this year’s vendor blogs, we would like to re-introduce Alicia from Alicia’s Infinity. She is a talented and passionate crafter and antique collector, who will be returning with her unique and vintage inspired pieces to The Vintage Marketplace 2015! 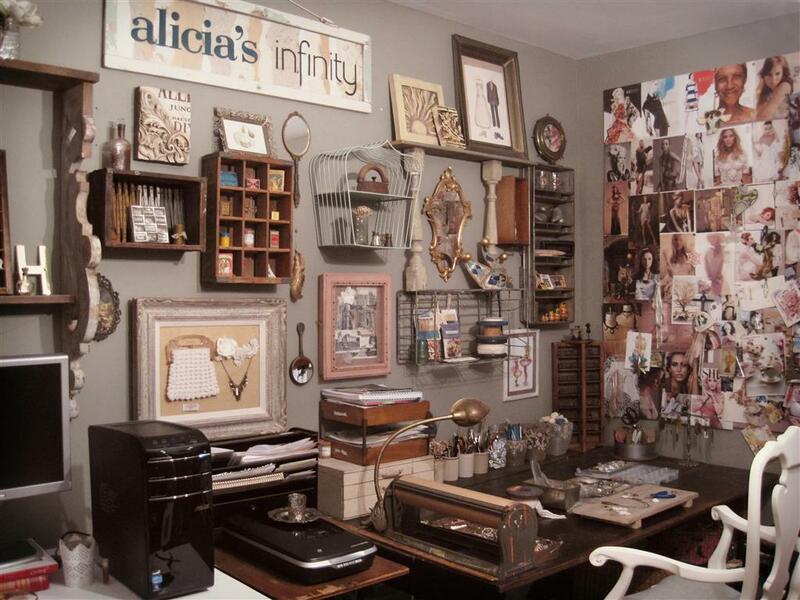 Alicia’s Infinity showcases my love of vintage items and beautiful things! 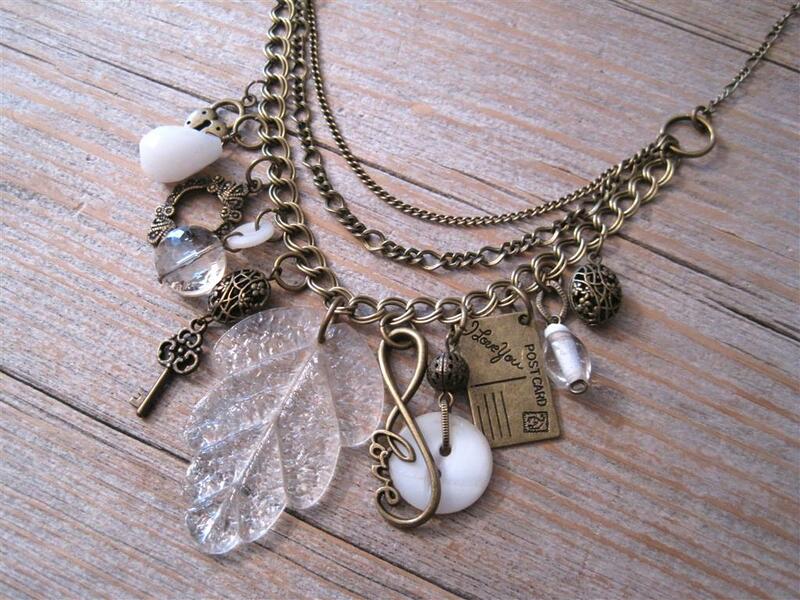 I create one-of-a-kind jewellery using many little vintage and antique treasures from my ever-growing collection. I also frame my watercolour illustrations in vintage frames! Alicia’s Infinity represents all of my creative endeavours! 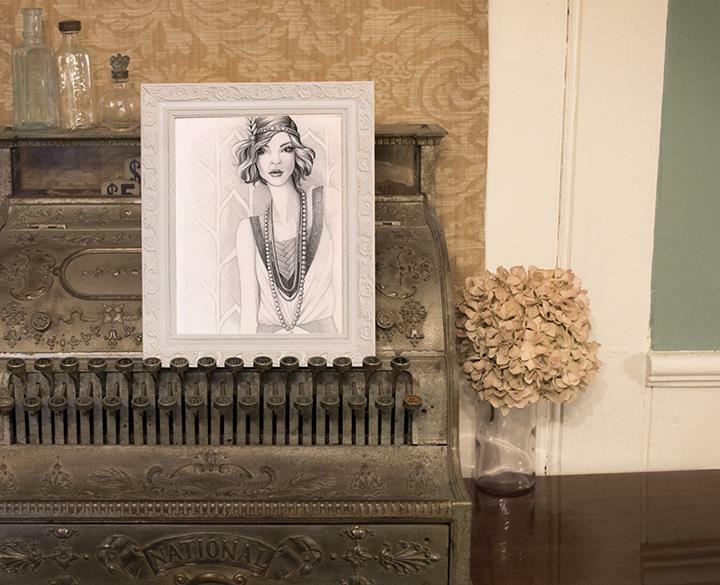 I am trained as an illustrator, but have been a crafter and antique collector since I was a little girl. I knew my business would never just consist of one product, so the “Infinity” part of it says just that! 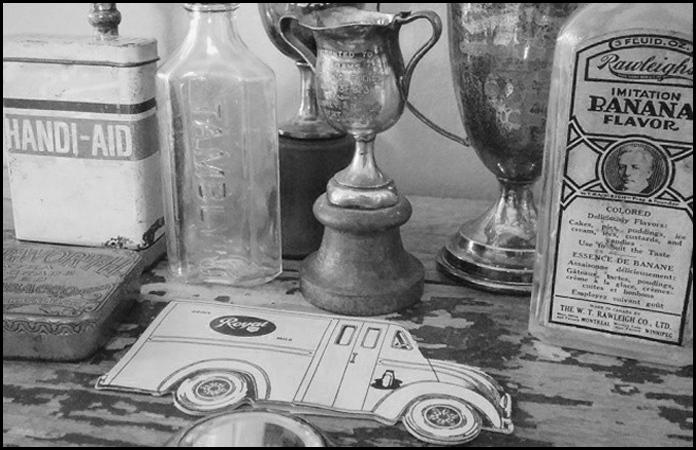 I currently am an illustrator, artist, graphic designer, jewellery & wedding stationery designer, and avid vintage treasure hunter! Always remember why you started your business, and if it’s something you LOVE, keep at it! 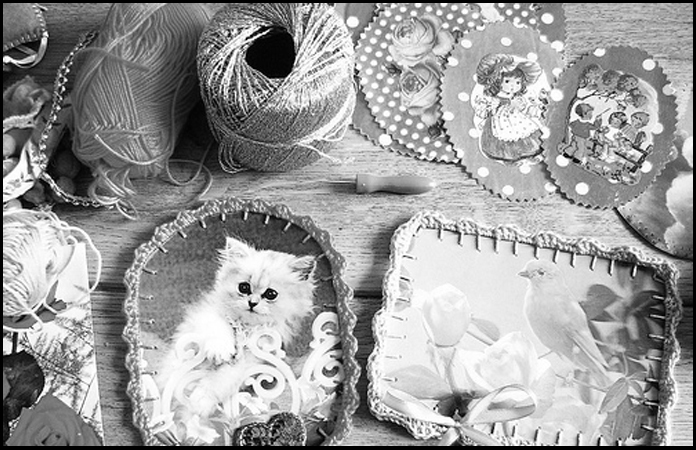 If you are able to turn your hobby in to a successful business, you are living the dream! Hmm… that’s a tough one! 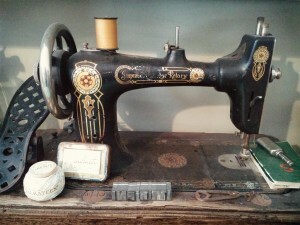 One of the earliest was a beautifully painted antique sewing machine. I just love the colours and design of it! Where do you find your vintage pieces (or materials used to make them)? I love to treasure hunt everywhere from garage sales, antique markets and shops, to curbside ‘garbage’ finds! You never know when you’ll find a gem! 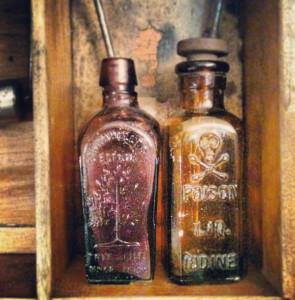 I have so many, but one very special one is a tiny little purple bottle that says “Nectar of the Golden Life of Health and Vitality” from my grandma. I love it 🙂 And it appropriately sits beside a bottle of poison! Oh, wow, that’s a tough one… Maybe I’d like to be a teen in the 20’s so I could wear the cute Cloche hats and drop-waist dresses, in the 30’s I’d buy myself a Chevy pickup (my dream! ), and in the 40’s I’d be able to see Ella & Louis live! Another impossible question! I take inspiration from everywhere, so it’s hard to choose one. 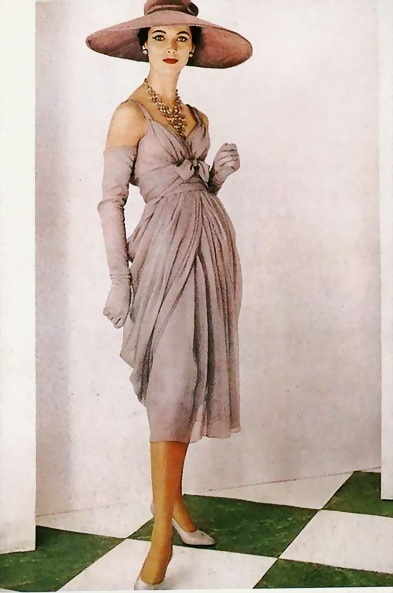 Vintage Dior is just so gorgeous, I think I’ll have to go with that! I’d go to a jazz club with Louis Armstrong so he could sing for me! 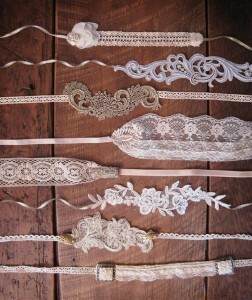 New this year are headbands I made with vintage lace, ribbon and embellishments that I’m very excited to show off!